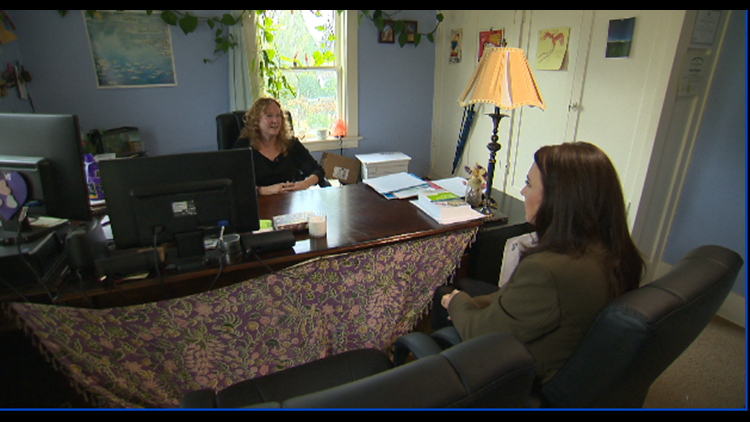 A Portland small business owner is warning about a payroll scam that cost them tens of thousands of dollars. Anne Burgess and her employees run “Checkmate Small Business Solutions” out of a historic home in Southeast Portland. “We deal with a lot of small businesses, a lot of people in the neighborhood. We have great foot traffic here,” said Burgess. Burgess said while helping small businesses is their specialty, they’re trying to grow the payroll part of the company. So when payroll specialist, Terri Williams, received an email from a Michigan trucking company wanting Checkmate to run their payroll, they jumped at the chance. “I had no reason to suspect there was anything wrong,” said Williams. They did their homework before taking on the client, calling the Michigan Secretary of State’s office and other state agencies to make sure the business checked out. “He knew what answers to give us. He seemed like an eager business owner, who wanted to get things back up and running,” said Burgess. Burgess said they ran four payrolls for the out of state company. The bank flagged one of the bank accounts on the fifth payroll attempt. Burgess said it was all a scam and now they owed their credit card processing company $47,000. The scammer was using the name of a real company that had shut down, so the business filings were all on record with the state of Michigan. Williams reported the fraud to the bank, The Oregon Department of Justice and the Better Business Bureau. “Angry, extremely disappointed. This doesn’t have to happen, it’s a choice,” said Williams. Both Burgess and Williams wants other small businesses to know, these scammers are out there. “It’s sad that they are putting their energy into stealing from other people,” said Burgess. You can report payroll scams to the BBB scam tracker here.